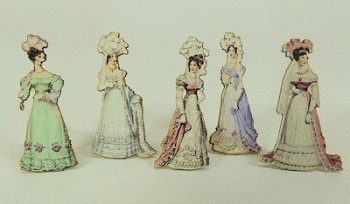 Five delightful ladies from the Empire era. Each stands 1" in height. Artwork and backing are laser cut. Just glue together and then glue wooden support to back. These are darling on shelves.